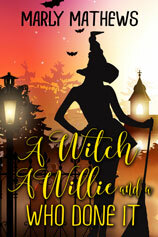 Millie Collins is a witch praying for a mundane life. 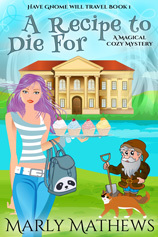 Thinking she’s finally gotten away from finding dead bodies, she prepares for a day of enjoying herself at a Car Boot Sale, when she discovers a dead body in her trunk, landing her smack dab in the middle of another Who Done It. Now, she just needs to solve the murder mystery, and deal with the hijinks of Paul Evans, and her Uncle Clive, as they take their pranking war to a whole new level. Welcome to Halloween in Port Merlin and Pendeen, where the strange and unusual make everyone scream.